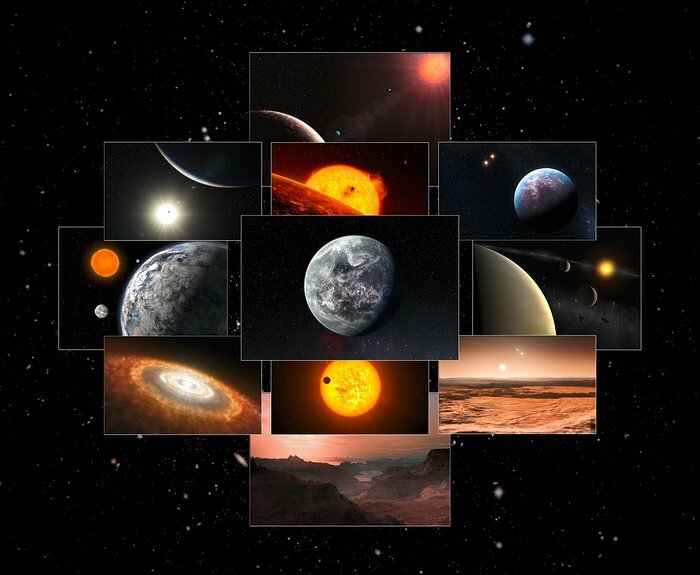 On 16-17 September 2013 a scientific meeting in Geneva entitled 10 Years of Science with HARPS celebrated a decade of full operation of the High-Accuracy Radial Velocity Planet Searcher (HARPS) — the world’s foremost planet hunter. 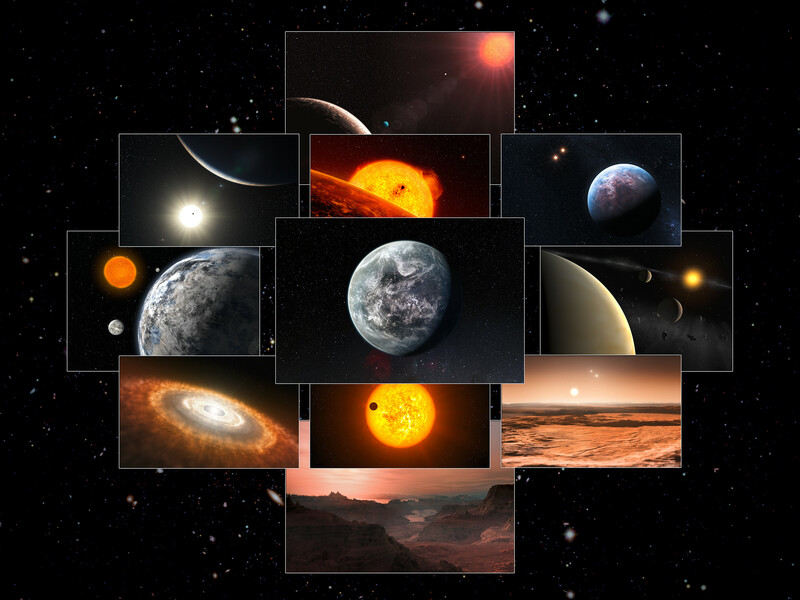 The meeting paid tribute to the extraordinary scientific results that HARPS has provided and the unrivalled window it provides onto one of the most exciting areas of current astronomical science — the search for and characterisation of planets around other stars. 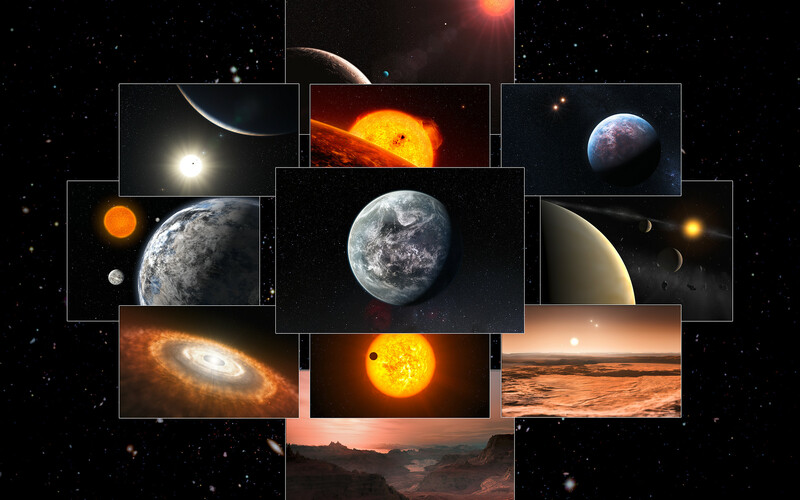 This collage features artist’s impressions of many of the exoplanetary systems found and studied using HARPS.